It wasn’t a promising start: sleet lashed me as I descended the stairs of the aircraft. Not exactly springtime in Paris. I shivered in my Mac and wished I’d worn my winter coat. It was a relief to settle into my room in Ermitage – one of the campus residential buildings. It is modern, comfortable and elegantly French. Although they don’t normally provide dressing gowns staff often go the extra mile. I was thrilled when a member of staff managed to find a dressing gown for me. I was staying the whole week so it was a welcome extra. My ID badge was waiting for me on the desktop in my room. I smiled when I saw ‘Faculty’ written under my name. 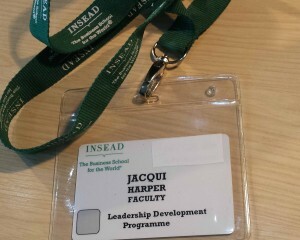 Every time I work at INSEAD I feel proud and honoured to be there. It is an exciting and challenging place to work. You want to do your best every time you walk around the campus. Maybe it’s to do with the modern, shiny buildings. They inspire ideas and confidence. Maybe it’s to do with the people. They’re all smart, interesting and thoughtful. I was looking forward to the courses. I knew I would be working with my friend and business partner, Steve Knight. 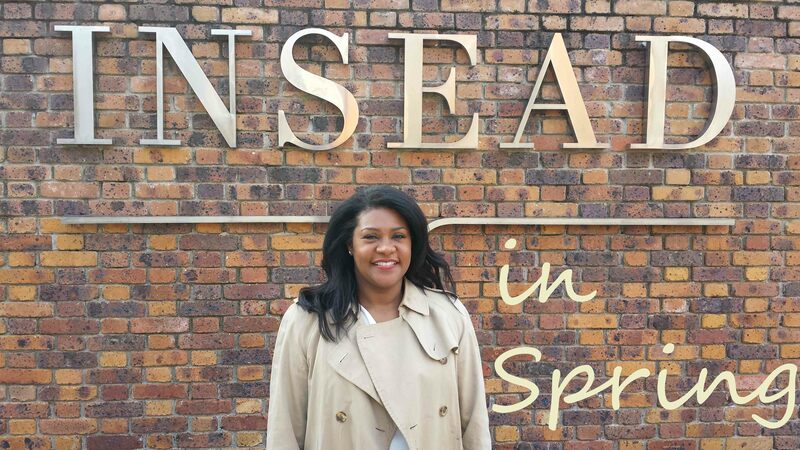 We have worked together for many years and he introduced me to INSEAD. I do not regret signing up for this training. Even if really challenging. I really enjoyed and learnt a lot from Steve and Jacqui. I will recommend this training to my colleagues. It was very impactful and powerful. By the end of the week the winter chill receded and spring sunshine brightened the campus. As I packed my bags to return home I made two resolutions for my next visit: go to the campus gym and improve my French!